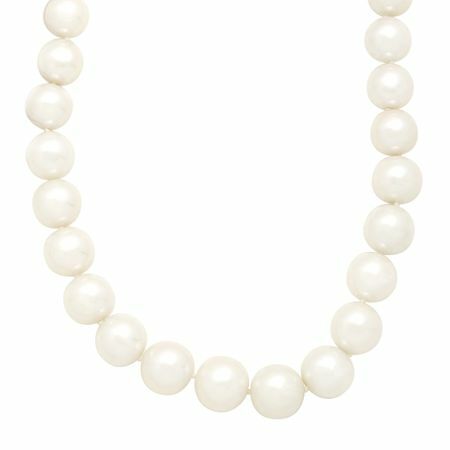 12-16 mm Edison Pearl Strand Necklace, 18"
A bold, yet subdued, pearl strand to elevate any outfit in your closet! White Edison freshwater pearls with a stunning metallic luster, ranging in size from 12 mm to 16 mm, decorate the strand while a 14K gold bead featuring a box-with-tongue clasp holds the piece together. Piece measures 18 inches by 1/2 inches.